Will the album ever be finished? Kanye West has announced on Twitter that his latest album 'The Life Of Pablo' still isn't finished. The album is currently only available on Tidal, with the streaming service reporting a large increase in subscriptions. 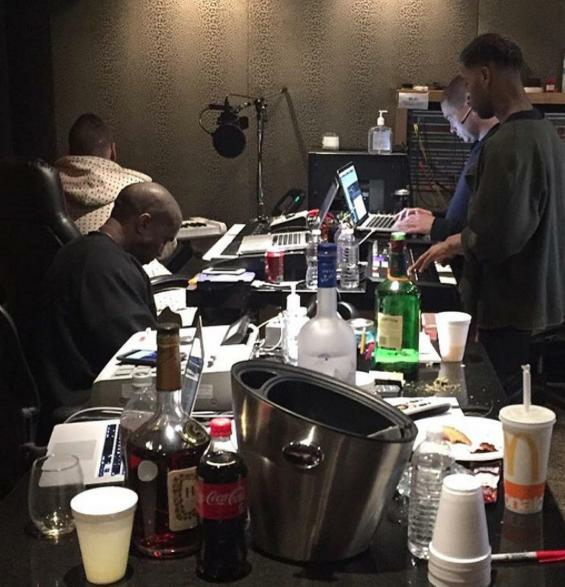 However Yeezy has now revealed that he is still in the final stages of mixing 'TLOP'. excited to see my family and finish the final mixes of the Life of Pablo and keep working on Turbo Grafx 16 and Season 4 …. Work on his new album 'Turbo Grafx 16' has already begun after Kanye posted a pic with him and frequent collaborator Kid Cudi in the studio. So when can we expect the new version of 'The Life of Pablo'?